WASHINGTON, D.C. – March 17, 2016 – Today, the Internet Innovation Alliance (IIA) sent a four-page, bipartisan letter to presidential candidates Hillary Clinton, Ted Cruz, John Kasich, Bernie Sanders, and Donald Trump. 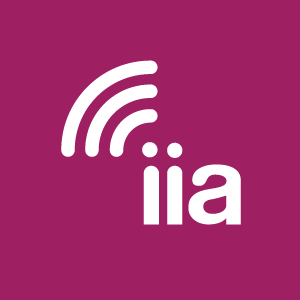 IIA’s “Memorandum for the Next President” focuses on the success of the broadband and wireless revolutions to-date, enabled by policies that promoted investment and innovation, and identifies fundamental principles for Internet policy to continue growth. • Show preference for private sector investment. Government alone can’t build out broadband networks or find the tens of billions of dollars every year necessary to keep pace with technological change and demand. Maintain the conditions under which private sector investment can flourish. • Promote competition – and recognize that it exists. Cross-platform competition is a reality and will only continue to become more intense if government does not interfere. • Effectively manage spectrum resources, balancing the needs of the private sector and government spectrum users, and licensed and unlicensed uses. Continue efforts to make spectrum available for mobile broadband by either reallocating spectrum currently used for other purposes or making underutilized government-controlled spectrum available for commercial wireless services. Policymakers should also continue to ensure the right mix in making spectrum available for licensed and unlicensed services. • Maintain an open Internet, with appropriate protections for non-discrimination. The courts may strike down the Federal Communications Commission’s (FCC) new net neutrality rules. The FCC had it right the first time in 2010 when it published reasonable rules necessary to preserve the Open Internet and ensure non-discrimination among network providers and access to information. Encourage Congress to codify those rules in statute law. • Assure access to connectivity, irrespective of geography or income, through universal service. More rural investment and more investment in schools and educational institutions is needed. In November 2014, the FCC put forward great ideas on universal service reform, focused on modernizing the Lifeline program, expanding it to cover broadband, closing the “homework gap,” and giving consumers more power over how they spend their Lifeline dollars – while deterring waste, fraud and abuse. Continue moving forward with reform efforts. • Protect the privacy and security of users. Today, different privacy rules apply to the same information traversing the Internet, depending on the regulatory classification of a particular service provider. Policymakers should engage in open discussions across the broadband industry, along with privacy advocacy groups, on the best way to reach agreement on future consumer protections. • Think through a new Telecommunications Act. While the 1996 Act has been a great success, it’s time to update the Act to reflect current conditions and the competitive markets that now exist. A new regulatory model that ensures government does not slow down the pace of innovation is needed. To read IIA’s full Memorandum for the Next President, go to https://internetinnovation.org/library/special-reports/to-the-next-president/.